Osteoarthritis is the most common type of arthritis among seniors and the elderly, so it is also the type of arthritis that most people are familiar with. It is referred to by several other names, including degenerative arthritis, degenerative joint disease, and wear and tear arthritis. What are some of the Effects of Osteoarthritis? Like other types of arthritis, osteoarthritis affects the joints and specifically the cartilage that protects these joints. In a healthy individual, cartilage provides a sort of padding between joints, preventing the bones from rubbing directly together. In an individual with osteoarthritis, the cartilage begins to disappear around the joints, which ultimately causes the bones to touch each other directly, resulting in pain, discomfort, stiffness, and limited mobility. It is not uncommon for bone spurs, which are called osteophytes, to begin to grown in and around the effected joints. Sometimes, small pieces of bone will also break off in the joint, which can be extremely painful and severely limit mobility. It is also not uncommon inflammation of the synovium, which lines the joint, to occur. This inflammation creates a viscous cycle that results in even more damage to the joint and cartilage. 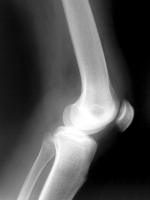 What Joints Are Affected by Osteoarthritis? While osteoarthritis can be found in any of the body’s joints, it is more common among joints that are weight bearing, such as the spine, knees, and hips. However, finger and toe osteoarthritis are also common. Usually, the joints are affected asymmetrically, so it is not uncommon for osteoarthritis to affect a single knee or other joint. Of all joints, the Knee is the most common to be affected by osteoarthritis and even just a little bit of low impact exercise every week can help limit the affects of osteoarthritis by as much as 50%. Morning Pain and Stiffness of the Joints – Usually this will go away after 20 or 30 minutes. However, the pain typically returns in the evening and is worse in the evenings than it is during the day. Joint Pain and Stiffness after sitting still for a long period of time. Joint Pain and Stiffness after rigorous exercise or physical activity. Reduced Mobility and an overall lower range of motion of the affected joint. Crepitus, which is a crackling or popping noise made when the joint is moved. For many, diagnosis of osteoarthritis begins when the symptoms of osteoarthritis are noted and brought to the attention of a physician. X-rays are also used to help diagnose osteoarthritis, although in the eary stages it might be difficult to see on the X-Ray. Usually, a combination of patient history and X-rays can help provide an accurate diagnosis of osteoarthritis, but blood work is also done to help eliminate other types of arthritis. The sooner treatment can begin, the better, so it is very important to speak with a doctor if any of the symptoms are present and for seniors, it is also important to get regular x-rays taken. While there are a number of medicines available to treat and reduce the effects of osteoarthritis, there is no cure, which is why it is so important to catch it early. Sometimes corticosteroids and viscosupplementation agents are injected into the joints, but it is more common to use NSAIDs and Analgesics. Exercise, healthy eating, and weight reduction are also important, with some finding that hot or cold compresses also relieve pain. Age is one of the biggest risk factors of osteoarthritis, but injury, gender, body weight, occupation, and family genes can also play a role. Interestingly, while osteoarthritis is more common among women than men, among people under 55, osteoarthritis is more common among males. Obesity can greatly increase the risk of developing osteoarthritis and among those who are obese or overweight, knee osteoarthritis is the most common type. A recent study found that those who were overweight could reduce the risk of knee arthritis by about 50% by loosing 11 pounds. It has also been found that loosing 10% of a persons bodyweight will significantly increase the mobility of osteoarthritis suffers.